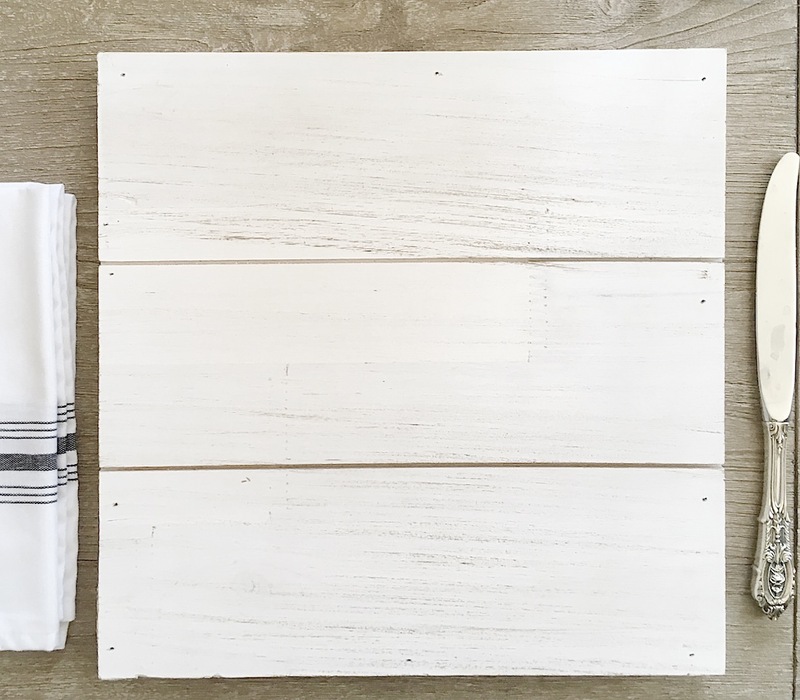 A few days before I actually started my project I was on one of my favorite crafting websites, save-on-crafts, and I found 12″ x 12″ shiplap squares, just as you can see pictured above. 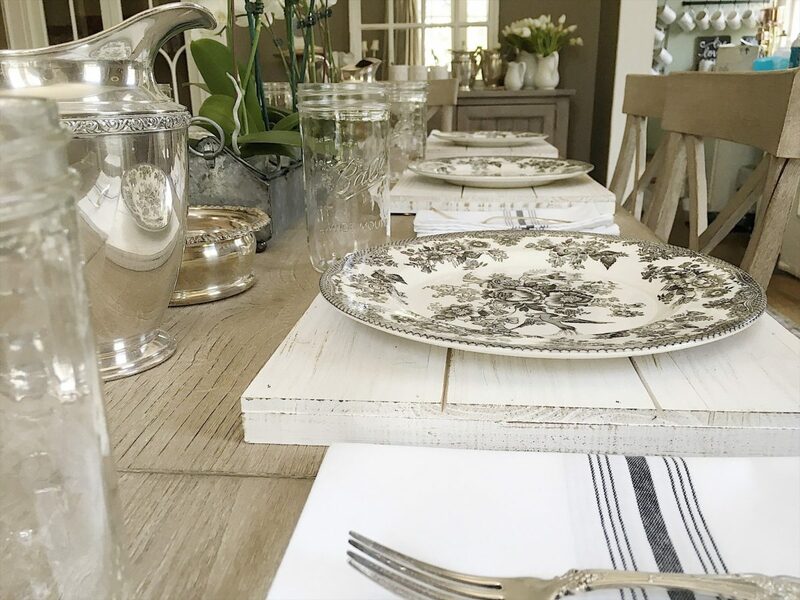 They are available for lots of craft projects but they are perfect wood shiplap chargers! And the best part is that they only cost $8.00! I ordered twelve of them and absolutely love how they look on my table! I can’t tell you how happy I am that I don’t have to make these. Not to mention the fact I doubt I could even make them for this price. And we all know these look way better than whatever I could have made. Phew, one less “make it yourself“! This is such a wonderful idea – shiplap chargers – love it!!!!! I need to check these out. 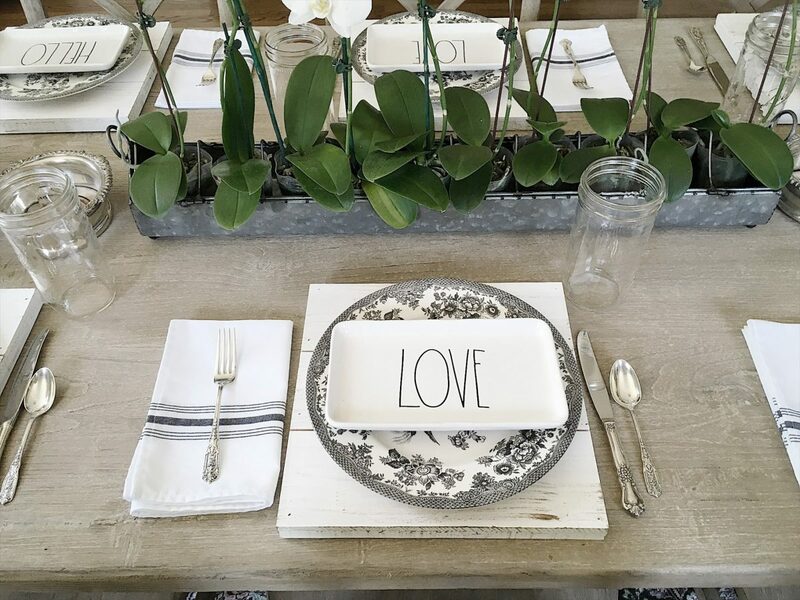 Some of my favorite decor pieces are from Save On Crafts. Where did you get those plates? 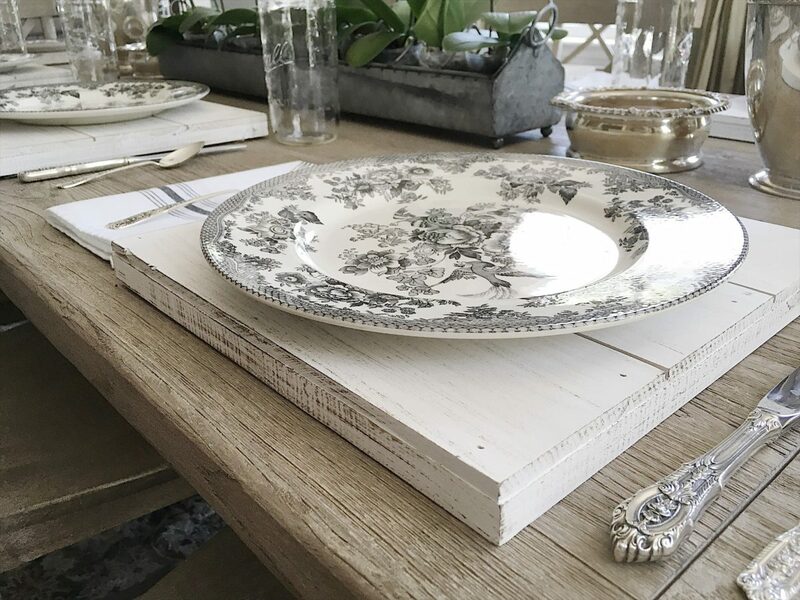 Just click the link on the blog post where it says FIND//Shiplap wooden charger. They are from Save-on-crafts but since thy aren’t called shiplap chargers you need the link to find them! 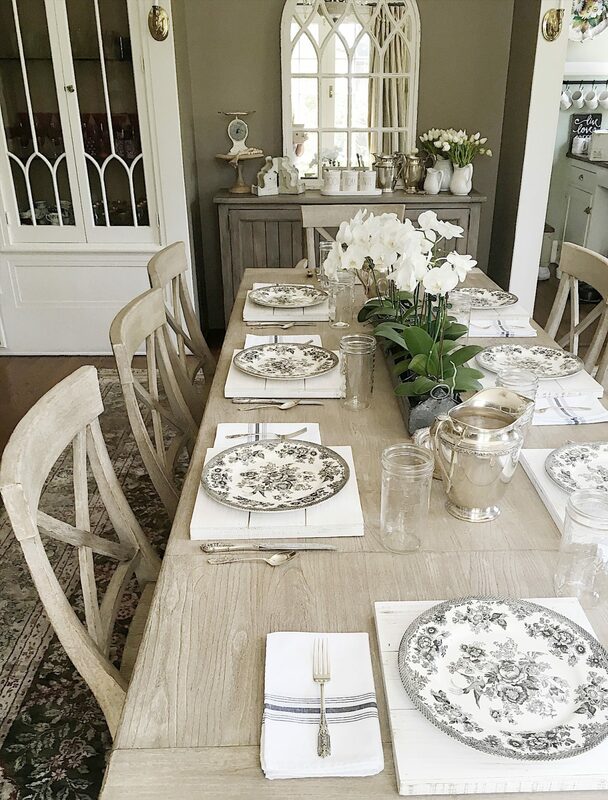 Such a well-styled table, as always. Thank you for your inspiration. I’m also curious about the brown transferware plates. 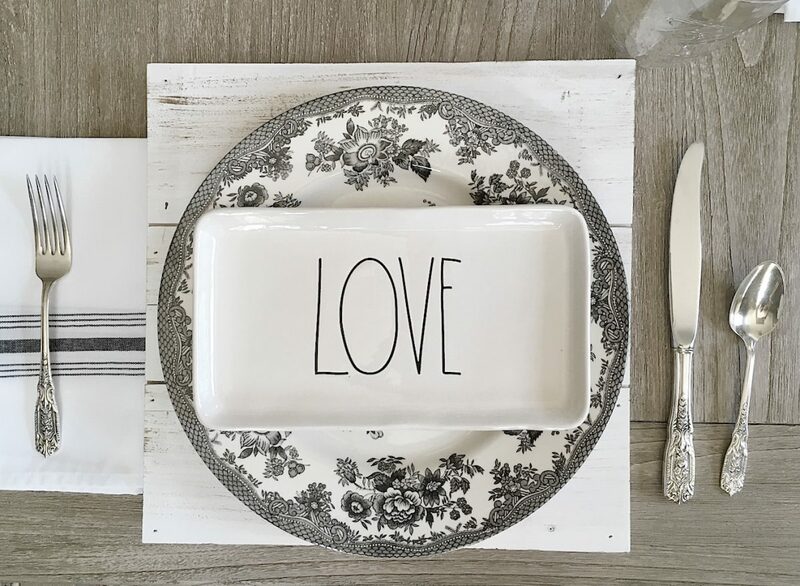 Any tips on where to find matching transferware pieces?